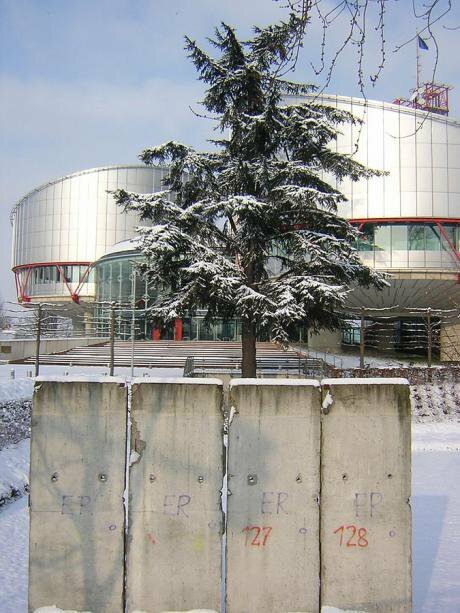 Fragment of the Berlin Wall in front of the European Court of Human Rights, Strasbourg. Wikicommons/ francois. Some rights reserved.Sometimes it takes an unexpected stranger to remind you of what you have, and of what you are at risk of losing. 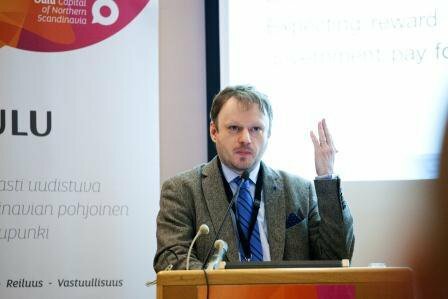 Roman Zakharov, a Russian publisher who challenged Russia’s surveillance legislation, is that stranger for many Brits and Europeans. The Grand Chamber of the European Court of Human Rights judgment on Friday 4 December 2015 was remarkable, not because it tore up the rule book on the jurisprudence surrounding state surveillance in the Council of Europe, but because It followed that rule book, applied it to a modern surveillance framework, and came out with a damning assessment of that framework. it followed that rule book, applied it to a modern surveillance framework, and came out with a damning assessment of that framework. Requests for interception authorisations of individuals that lack specific details such as a specific person, telephone number or premises to be surveilled (either by person, telephone number) are not capable of ensuring due and proper consideration. Authorisation and oversight are not just about who is involved in the authorisation, but include the standards used to scrutinise the request for authorisation and practice of scrutiny. Direct access to telecommunications networks by law enforcement or intelligence agencies does not provide adequate and effective guarantees against abuse. In 2014 Vodafone released a worldwide law enforcement disclosure report that revealed that in some jurisdictions, providers were required to provide “direct access” to their communications networks. The report explained that direct access gave authorities access to information and bypassed any form of operational control over the interception on the part of the provider. Direct access is a deeply concerning method of surveillance that Privacy International has strongly spoken out against. The operation of direct access in the System of Operative Investigative Measures (SORM) Framework - the surveillance infrastructure used by Russia and many Central Asian states - has been exposed by Privacy International in the past. The implications of this judgment go beyond Russia. Other European countries have introduced laws or are considering legislation that do not pass the tests of legality, necessity and proportionality set out by the European Court. In the UK, the review of the Investigatory Powers Bill would benefit from considering the Zakharov judgement. Particular attention should be paid to the Court’s decision on authorisation procedures, the practical realities of oversight, and the operation of technology that allows for direct access to telecommunications networks. Part 6 of the UK's IP Bill would struggle against the clear standard communicated by the Court for interception authorisations. The Court’s judgement does not break new ground, and the decision is littered with familiar cases to those who have followed surveillance and privacy in Europe over the last 10 years: Weber and Saravia, Klass and Others, Kennedy, Liberty and Others, all of which are landmark judgements that have had telling influence on the decision of the Court. The Court distilled the body of its case law to summarise the requirements of an interception authorisation, which “must clearly identify a specific person to be placed under surveillance or a set of premises as the premises in respect of which the authorisation is order.” For example, Part 6 of the Investigatory Powers Bill contains the powers for Bulk interception warrants. The warrants require little more than showing that the communications to be intercepted are “overseas-related communications” meaning communications sent or received by individuals outside the British Islands. That's it. No specific individuals or specific groups, no specific telephone numbers, no specific premises. Similarly, very broad powers are included for other “Bulk” powers, including bulk Government hacking. Part 6 of the UK's IP Bill would struggle against the clear standard communicated by the Court for interception authorisations. This goes to the broader point too: the Zakharov judgement has reinforced this current standard, demonstrating that surveillance powers must remain necessary and proportionate. Direct access by law enforcement or intelligence agencies to telecommunications networks risks arbitrary searches and seizures and abuse.As Marko Milanovic had said in his blog earlier the week, it is noteworthy that the Court looked at both the provisions of Russian law and the practice of the oversight of surveillance in Russia. This led to the Court calling out the lame Russian practice of District Courts who “never request the interception agency to submit [supporting] materials and that a mere reference to the existence of information about a criminal offence or activities endangering national, military, economic or ecological security is considered to be sufficient for the authorisation to be granted.” In the UK, the challenge with the IP Bill is that it is leaving judges hamstrung in their ability to approve the authorisations for interception or other surveillance powers, by having them only apply the principles of judicial review. By mandating judicial commissioners to apply the principles of judicial review, commissioners would only be empowered to assess whether the correct procedure had been followed by the Secretary of State. In practice, the judge's question would not be “Is the request authorisation necessary and proportionate?” but “Has the Home Secretary considered the necessity and proportionality of the request for authorisation?”. The Court was unequivocal: inadequate and ineffective regulation of secret surveillance risks destroying democracy. That is a significantly less empowering question that is being presented to the public as part of a “gold standard” of surveillance legislation. At the moment, it is barely a basic standard.